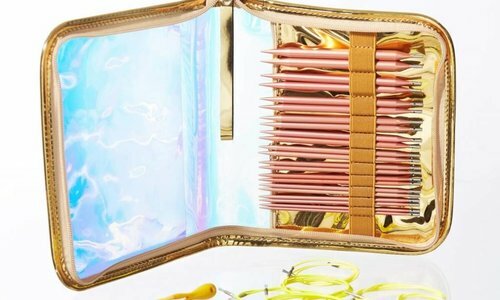 We can’t get enough of the brioche knitting trend, can you? Brioche is seeing a resurgence in tons of new designs for hats, cowls, shawls and sweaters, and although the technique may look complicated, it’s actually quite easy to master the basics! In today’s post we’re going to show you the basics so that you can give this technique a try. 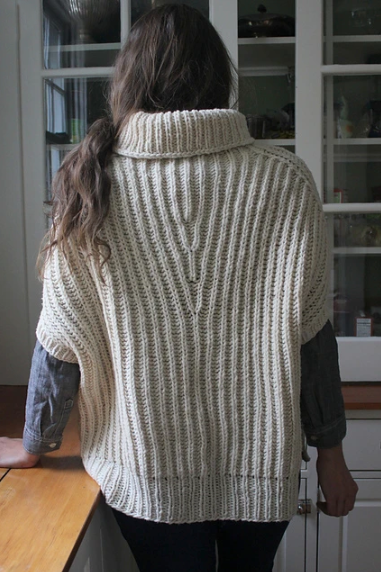 Brioche is a knitting technique that creates a lofty, reversible, ribbed fabric. This is accomplished by slipping stitches and creating yarnovers that are knit together with stitches in the following rows. In many patterns, brioche is knit using two colors of yarn, although you can knit 1-color brioche as well. 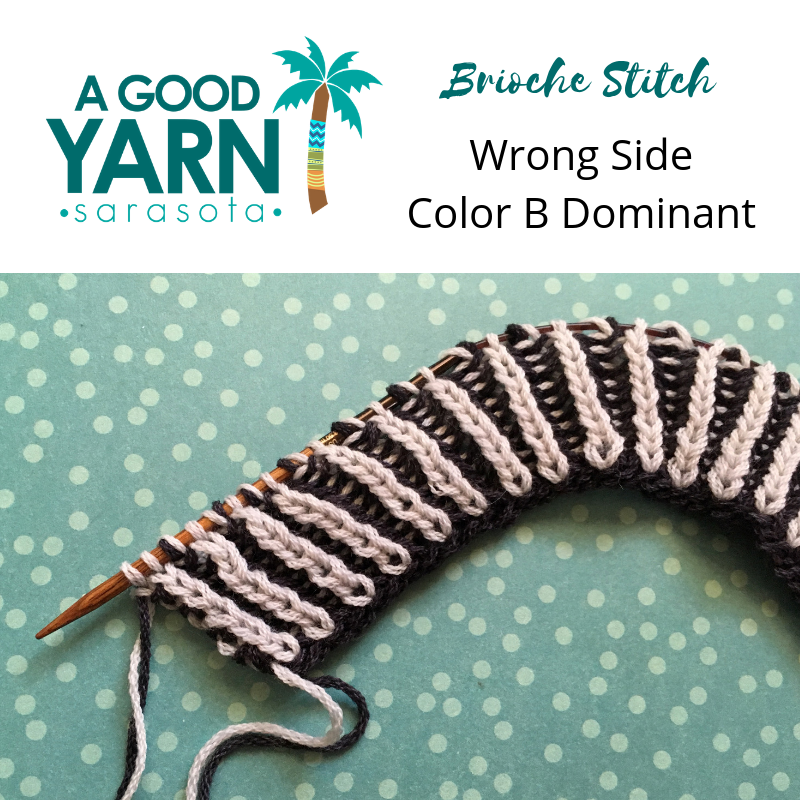 For the purposes of our discussion today, we’re going to show you 2-color brioche knitted flat using standard terminology found in most patterns. Brioche has its own language, so we’re going to define a few abbreviations and terms here. Sl1yo stands for slip 1, yarnover, and it is a stitch you’ll be using on every row. What you will do when you see Sl1yo is slip the next stitch from your left needle to your right needle, while simultaneously wrapping the yarn around your needle from front to back. This slipped stitch and its corresponding yarnover will be treated as 1 stitch in the subsequent row. 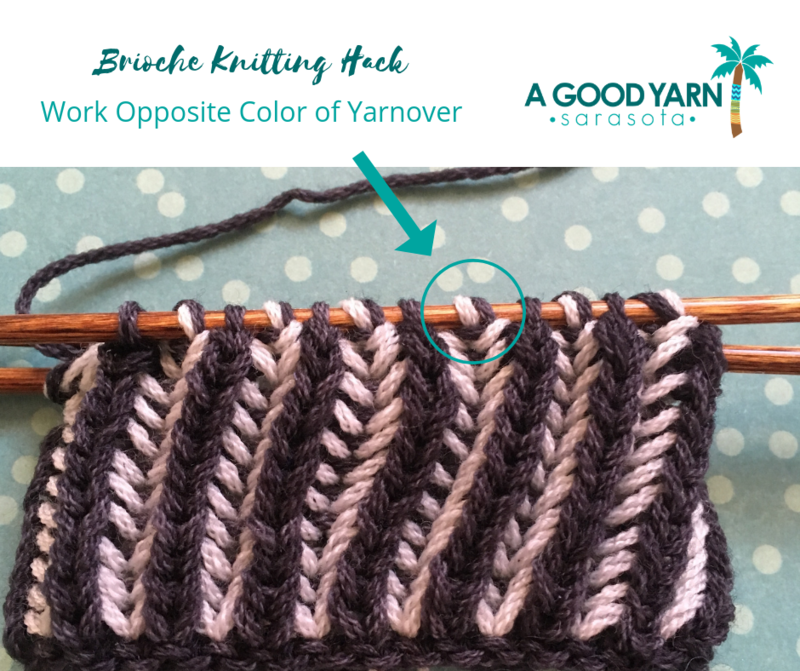 Brk stands for brioche knit, and you’ll sometimes hear it referred to as the “bark stitch.” When you see a brk stitch, you will be knitting the next stitch together with its corresponding yarnover that was created on the previous row. 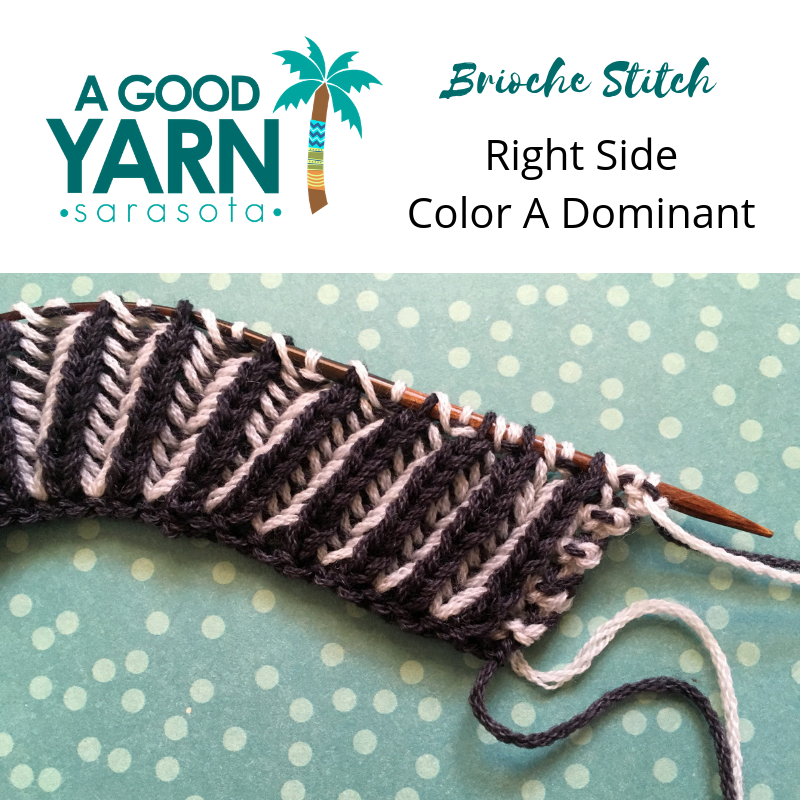 Brp stands for brioche purl, and you’ll sometimes hear it referred to as the “burp stitch.” When you see a brp stitch, you will be purling the next stitch together with its corresponding yarnover that was created on the previous row. Believe it or not, learning to knit brioche in the round is actually easier than working it flat, and we recommend starting with two-color brioche because it makes it easier to see where you are in the pattern. If that sounds counter-intuitive, consider this: when knitting brioche, each row is actually knit twice - for each 2 rows of knitting, you are actually knitting 4 rows. This is much easier to keep track of when using two colors instead of just one because each side of your piece will have a color that is dominant on it. If we’re talking about Color A a light color, and Color B a dark color, let’s say that the Right Side of your work will have Color A as the dominant color and the Wrong Side of your work will have Color B as the dominant color. On each Right Side row, you will first knit and slip stitches across in Color A. Then, without turning your work, you will slide the stitches back to the beginning of the row you just worked and you will purl and slip stitches across in Color B. You have now completed the first, Color A dominant side of your brioche. On each Wrong Side row, you will first purl and slip stitches across the row with your Color A. Then, without turning your work, you will slide the stitches back to the beginning of the row you just worked and you will knit and slip stitches across with your Color B. You have now completed the second, Color B dominant side of your brioche. Row 1 (RS/Color A): *Sl1yo, brk; repeat from * to end. Row 2 (RS/Color B): *Brp, sl1yo; repeat from * to end. Row 3 (WS/Color A): *Brp, sl1yo; repeat from * to end. Row 4 (WS/Color B): *Slyo, brk; repeat from * to end. Let's practice by making a small swatch with 2 colors of yarn and either circular or DPN needles. Start by casting on for an even number of stitches (for our sample used below, we cast on 36 stitches). Setup Row 1: With Color A, *sl1yo, k1, repeat from * to end of the row. Setup Row 2: With Color B, *brp, sl1yo, repeat from * to end of the row. You are now ready to turn your work to work both Wrong Side Rows (Rows 3 & 4). From here, continue working Rows 1-4 for the remainder of your swatch. If you forget which row you are about to work, let your stitches guide you! The yarnover will tell you which color you should be working with (hint: it's the opposite color - so, if your yarnover is Color A, that means you should be working with Color B) and also whether or not you should be working a brk or brp row (if the yarnover is paired with a knit stitch, you will work a brk, and if the yarnover is paired with a purl stitch, you will work a brp row). And, as noted above, you will be able to easily see whether you are working the Right Side or Wrong Side of the fabric by checking which color is dominant. 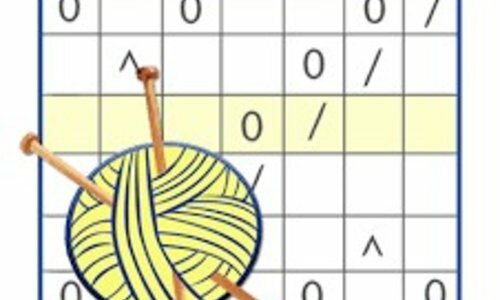 You may see patterns written slightly differently, or using slightly different abbreviations, but these are the basic stitches that make up all brioche patterns. Round 1 (Color A): *Sl1yo, brk; repeat from * to end of round. Row 2 (Color B): *Brp, sl1yo; repeat from * to end of round. At the end of each round, leave the yarn tail for the color you’ve been working in the front of your work to create a less noticeable color “jump” at the beginning of the round. It’s that simple! 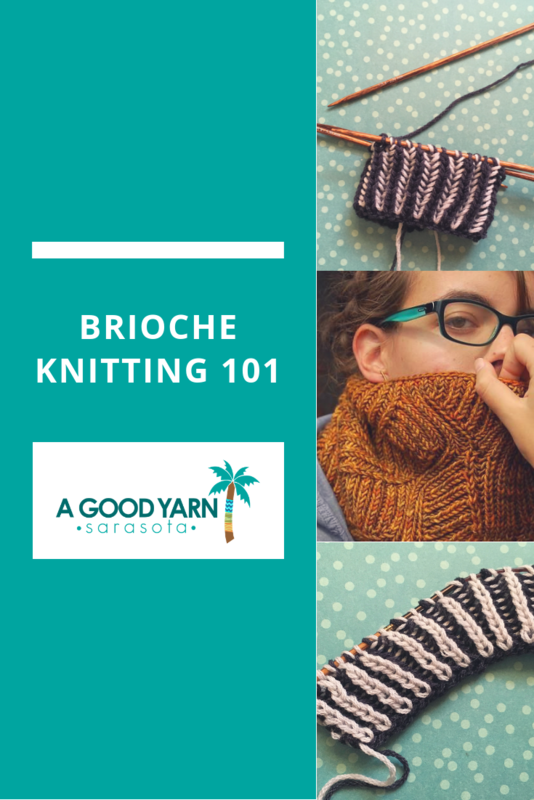 Excited to give Brioche knitting a try? 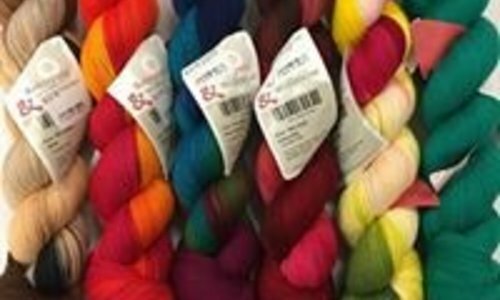 Bristol Ivy is coming to A Good Yarn! We are so excited to welcome one of our favorite designers to the shop; Bristol will be teaching 3 fabulous workshops, including one on Brioche Knitting featuring the gorgeous Windrow cowl pattern pictured below. 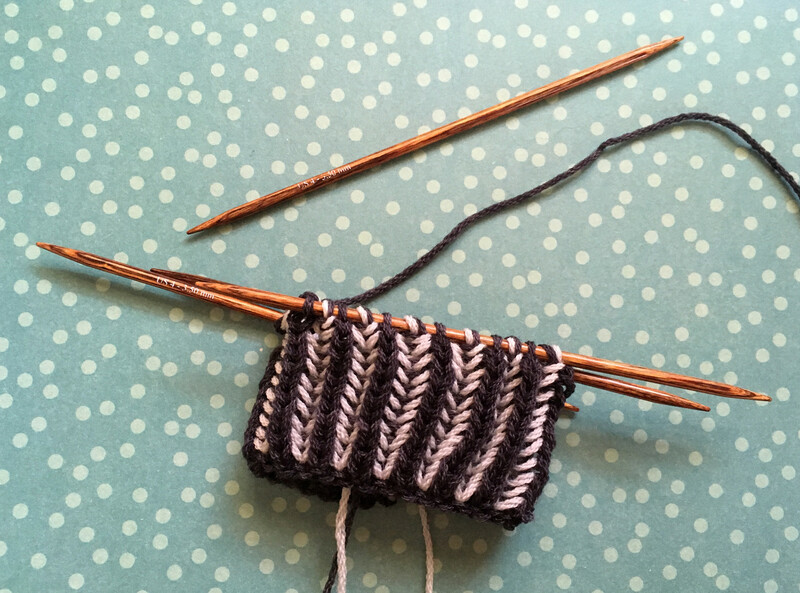 If you can’t join us for hands-on learning, you can find more information about brioche knitting on Nancy Marchant’s wonderful site Brioche Stitch. For a few tips and tricks about brioche, there’s also this post from Ann Shayne of Mason Dixon Knitting. 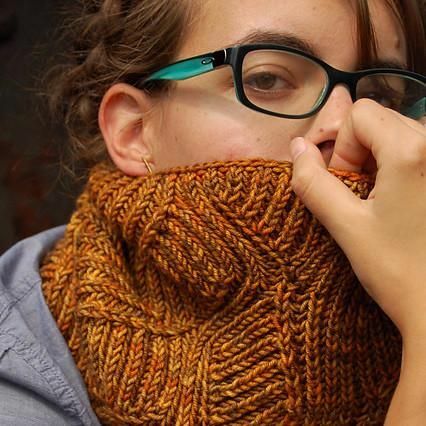 When you’re ready to cast on, we recommend Emma Galati’s Brioche for Beginners cowl, available for free on Ravelry. Emma uses slightly different abbreviations than we have here, but her pattern is a simple 2-color brioche cowl designed for beginners. Once you’ve conquered the basics, there are even more fun patterns out there to explore, such as Andrea Mowry’s Ramble or Leslie Anne Robinson’s Sizzle Pop. 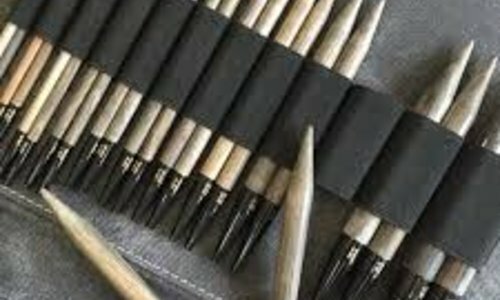 A shop for all fiber artists, knitting, crochet, spinning, weaving and more!